Business Visa is applicable for those who want to travel to Kingdom of Saudi Arabia for business purpose. 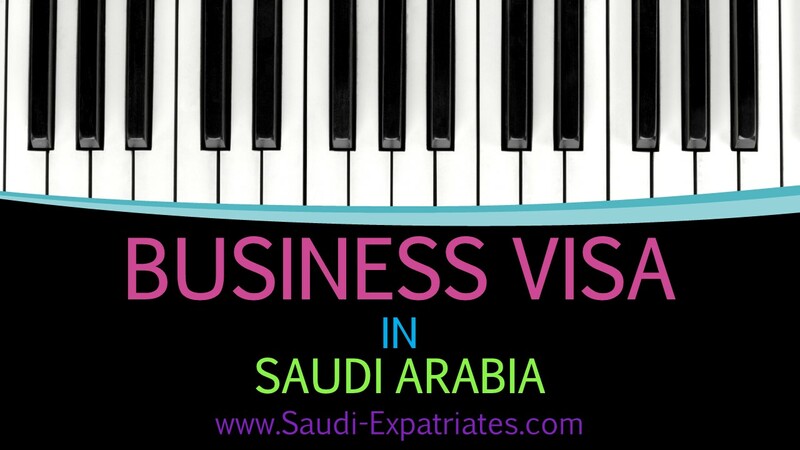 For Business Visa eligibility, Business visitors requires a valid sponsorship from Saudi Arabian Company or Saudi Arabian Business. The provision of Business visa is only applicable for Investors, Business men, Managers, Sales Managers, Sales Representatives, etc. Business Visa does not applicable for those professions who does not have business features like Engineers, Doctors, Programmers, Professors, Teachers, Technicians etc. - Valid Passport having at least 6 months validity with two adjacent blank pages. - One recent passport size photo with white background. - Any one of the following documents to prove the position of applicant. 1. A letter addressed to the Royal Embassy of Kingdom of Saudi Arabia by the applicant’s employer, that confirms the applicant’s position which he's being sent on a business visit associated with his company. 2. Company business registration copy in Saudi and in native country. 3. Invitation letter from sponsor company attested by Saudi Chamber of Commerce and Ministry of Foreign Affairs (MOFA). - Copy of Home country Resident Identity Card of the applicant. - Visa fees should be pay online through Enjaz website. You can hire a specialized agent to process it. - Do not overstay, Visitors should leave Saudi Arabia before the visa expire. - Does not have right to work or reside in the kingdom. - Respect society values and traditions. - Must abide by the country Islamic laws and regulations. - KSA laws against drug trafficking are strictly enforced. Violators are subject to severe punishments including death penalty.